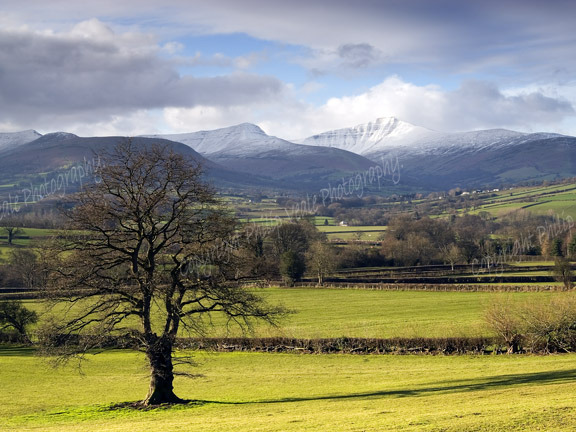 Philip Veale Photography: Pen y Fan and Cribyn, The Brecon Beacons. Pen y Fan and Cribyn, The Brecon Beacons. Pen y Fan and Cribyn in the Brecon Beacons National Park after showers during the night have given the peaks a covering of snow.